Tempering chocolate isn't easy. It takes years of practice to master this skill! If chocolate is tempered wrongly, sugar and fat bloom can be seen on the surface of the chocolate just like the picture below. 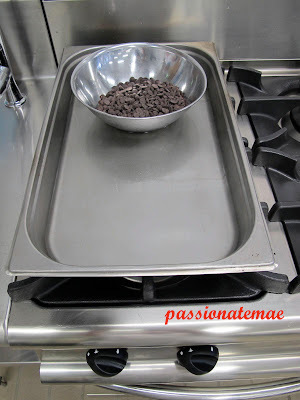 Once chocolate has been melted, there are 4 ways as mentioned before to choose from. I have a video for you to watch on the Tabling method. 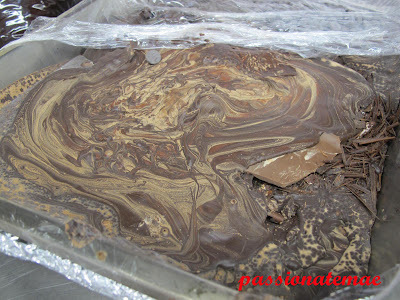 It is a method where a palate knife, scraper and a marble top are used to manipulate the chocolate.